As I created this project, I was moved to thankfulness and tears. These cards represent each day of Passion Week–starting Palm Sunday and culminating on Resurrection Sunday. The front side of the cards are a modern take on stained, colored glass. They remind me of traditional churches with beautiful depictions of Jesus’ life. And on the back of each card, there is timeline of the events that happened on each day of Passion Week. At the bottom of the back, there is a space to take notes and bible references that correspond to the timeline’s events. I love taking a step back during Passion Week to get my heart in a position of gratitude. Making these cards reminded me of how extraordinary Jesus is. Despite all of the chaos and what he knew lied ahead, he took time to celebrate, love, and teach so we could all see and grow from his example. I hope these cards set the tone for your week. I hope the colors and patterns urge you to pick them up and get closer to Jesus this coming week. To download these Passion Week Stained Glass Cards, just click here! The month of April is pretty special. Not only does the weather start getting warm, but we get to celebrate the most epic story of all. The story of Jesus’ crucifixion and resurrection! During this month I’ll be sharing weekly wallpapers that represent the journey to the resurrection of Christ. 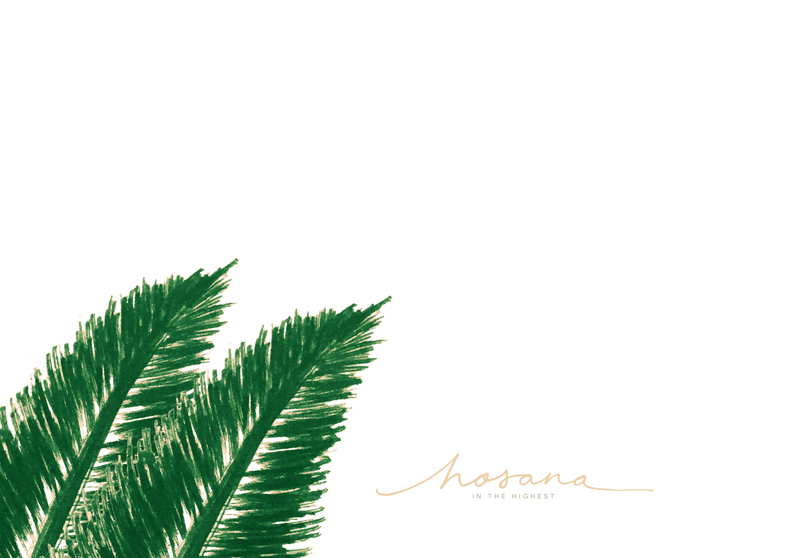 This week’s wallpaper is in honor of Palm Sunday. 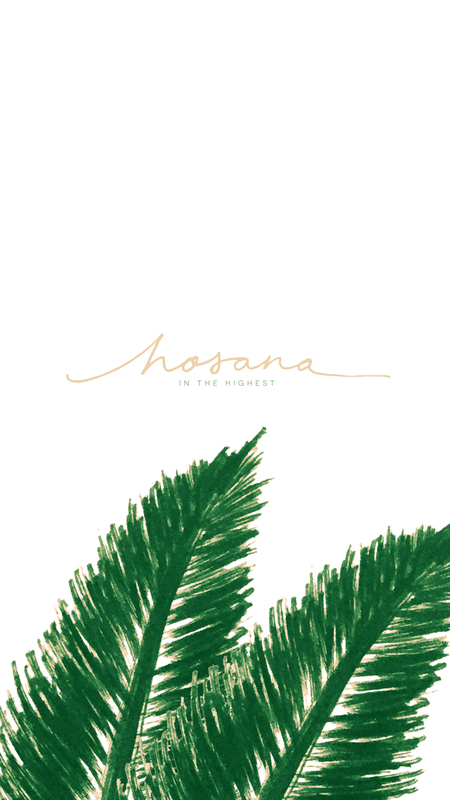 Read more about Palm Sunday below or scroll down to download this week’s wallpaper. Kings rode horses as a symbol of war. Or donkeys as a symbol of peace. Well, Jesus rode a donkey to announce that his Kingship would be one of peace. Isn’t it fitting that He is also called Prince of Peace? I don’t know about you, but this gives me a sense of hope. It reminds me that God has a purpose, a plan, and sees it all. That’s why I can rest and find peace when I surrender all my burdens unto Him. Friend, I invite you to take a step closer to Him this Easter season. Surrender your burdens, and find peace in Him. He is King, He reigns over every situation in your life, and He is your Prince of Peace. To download the wallpapers, click on the wallpaper. Then, right-click if you’re on a desktop or long press if you’re on a mobile device.